By mass, our solar system is the Sun. If we want to understand what our solar system is made of, we must understand what the Sun is made of. The abundances of the elements have been studied for decades from spectroscopy of the solar atmosphere. We know well how the planets, especially the terrestrial planets, compare in elemental composition to the Sun. We know much less well how the Sun and planets compare in isotopic composition. Isotopes, elements with an extra neutron or two, provide a window on solar system formation processes that elemental composition alone cannot reveal. And a comparison of isotopes is highly informative, even when elemental compositions differ greatly, as with the Sun and Earth. We are most interested in the light stable isotopes, that is, the isotopes of elements in the 1st or 2nd rows of the periodic table which do not undergo radioactive decay. Deuterium, the heavy isotope of hydrogen, is modified by nuclear reactions in the Sun, but other isotopes, such as those of carbon, nitrogen, oxygen, and sulfur, should reflect the original bulk composition of the molecular cloud from which the solar system formed. In our recent paper in Nature Communications, we have used a careful analysis of infrared spectroscopic data of absorption by carbon monoxide (CO) in the upper solar photosphere. 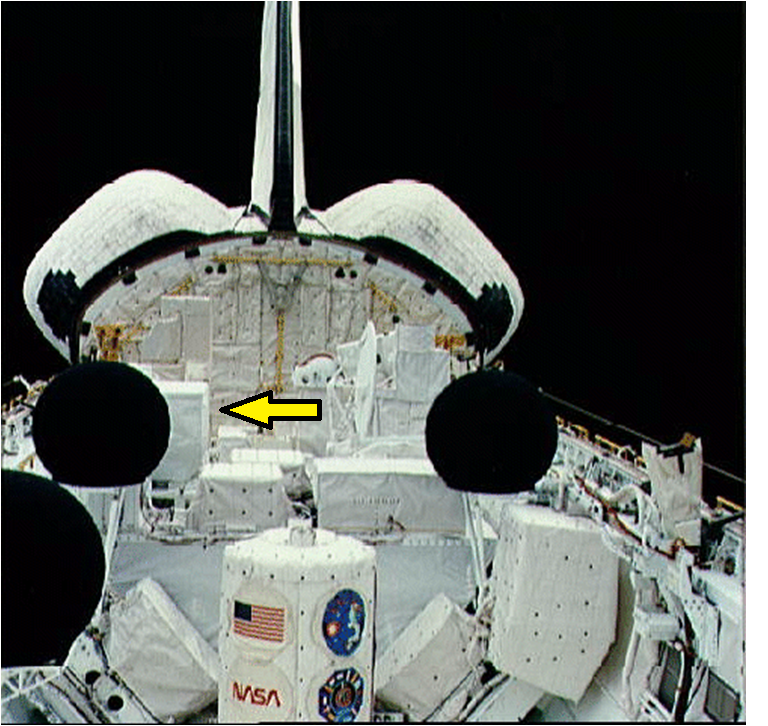 These data, collected by the ATMOS spectrometer on the space shuttle in the mid-1990s (yellow arrow points to ATMOS in photo), are a textbook example of a high-temperature molecular absorption spectrum (see second image of CO absorption lines). And, they are a gold mine of information about solar isotopes. By measuring the intensities of a subset of the lines, those that avoid overlap with other lines, we were able to determine the ratios of oxygen isotopes (18O/16O) and carbon isotopes (13C/12C) from CO. 16O and 12C are by far the most abundant of the isotopes for O and C, but we measured a shortage of 18O and 13C in the Sun compared to the Earth and other terrestrial planets. The shortage is only about 5%, but when talking about isotope ratios, a 5% difference is massive. The C and O that are part of the bulk Earth, and inner solar system in general, somehow experienced a different history than the C and O in the Sun. One possible explanation for this isotopic difference is that CO in the solar nebula (or in the parent molecular cloud) was dissociated by UV radiation from the very young Sun, leading to a change in the isotope ratios in the dissociation products. These differences were recorded in the terrestrial planets but not in the Sun itself. If this explanation is correct, then we have a strong constraint on the UV radiation present at the time of solar system formation. Such a constraint helps us to understand the degree of UV processing of organic molecules in our nascent solar system, and, more generally, helps us to characterize the role of UV radiation in the formation of planetary systems with Earth-like planets.